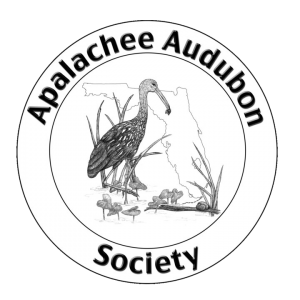 Do you want to get involved with the Apalachee Audubon Society? Check out our current volunteer opportunities below. If you have something to add to this list or if you have a unique talent you’d like to share with the chapter, please email apalacheeaudubon@gmail.com. Do you enjoy providing hospitality? Are you good at organizing and coordinating volunteers? Membership Committee Positions Open – We Need You! We are looking for people to chair and serve on the membership committee. The official membership list is maintained by National Audubon, so experience with searching spreadsheets with contact information is a plus, but is not required. We also need someone to send out a welcome letter to new members each month; a good job that can be done from home. Hospitality help needed! Our monthly program meetings are a chance for members to get together and socialize a bit before learning about a different topic each month. Apalachee Audubon provides bird friendly coffee and treats to our guests. We are searching for someone to help plan the snacks and beverages served during the social. Banquet Committee Help Needed! We need help We are looking for someone to help us coordinate the planning of the May banquet to ensure that it's a success. Coastal Bird Stewards Needed! Audubon Florida needs bird stewards on St. George Island weekends and holidays through August. This is especially important to monitor nests after storms. If you would be willing to help with a shift or two, please contact Bonnie Samuelsen at bsamuelsen@audubon.org. Education Stewards needed! Education Stewards assist with other volunteers in manning the Apalachee Audubon booth at local schools, events and festivals. Have a fun time interacting with the public, while providing valuable education about birds and the environment. Experience or prior training is not necessary, and all materials/information provided. Contact: Pat Press or Carol Franchi.